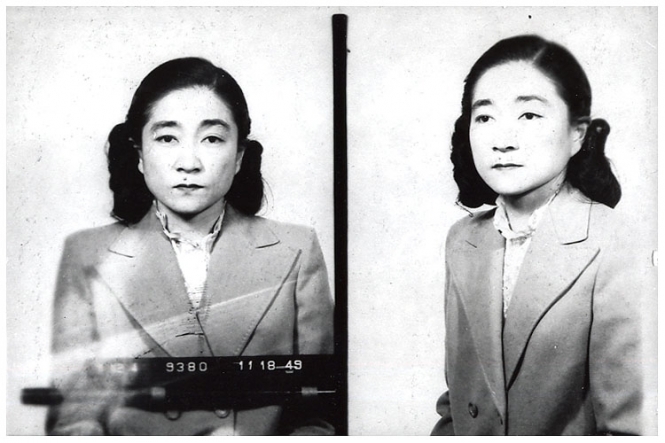 U.S.-born Iva Toguri D'Aquino, who was dubbed 'Tokyo Rose' for broadcasting anti-American propaganda from Japan during World War II, was convicted of treason and sent to federal prison for about seven years (this picture was taken at the lockup in Alderson, West Virginia). D'Aquino was pardoned by President Gerald Ford in 1977. Submitted by themoose on Sun, 2011-06-12 16:54. She was pardoned by President Gerald Ford. She was also awarded the Edward J. Herlihy Citizenship Award by the World War II Veterans Committee. Submitted by clairpie on Tue, 2011-03-15 15:28. She NEVER should have been pardoned. Submitted by Paterfamilias on Thu, 2011-03-24 14:08.